The summer flew by fast and every bit of it was enjoyed and remembered. The grandparents are here to take care of Vv while Justin and I took multiple trips to some European destinations we wanted to explore. Of course I had to fit some yarn shop browsing into the agenda! Justin documents all our travels on his blog with great photos so I will just stick to the fiber goodness here. First of all, Amsterdam! We stayed at the Pulitzer hotel which was converted from canal houses. We had a suite with two levels on the top floor of Prinsengracht 329 named “‘T Garenhuis”, or “the yarn house”, named after the yarn spinner who bought the house in 1662. What a happy coincidence. I wish I could learn more about its history. Amsterdam is a lovely place easy to fall in love with at the first sight of its canals. The best moments of our trip were the leisurely strolls along the canals looking at the architecture, checking out the boutiques and people watching. Instead of the canal cruise we hired a paddle boat and did our own canal tour as well. Now to the yarn crawl – the first shop I visited is weldraadbusy shopping street quite close to the central train station. They carry a variety of yarn and fiber of European origin, mainly made in Sweden and Netherlands. I love their display wall of yarn, knitted samples along with cut lengths of fabrics for sale. They have an interesting system of keeping yarn in drawers and inviting you to open them. It felt like a treasure hunt 😉 here’s a drawer full of Swedish ullcentrum in yummy colours. I wonder if this was originally a spinning wheel of some sort? Temped by the Scheepjes gradient, a Dutch yarn. Next up I visited the adorable Penelope. 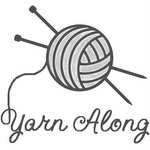 The shop itself is your perfect Lys for selection of popular brands as well as knitting hangout. Love the yarn bombed bike outside. It’s Amsterdam after all. Being relatively new to knitting and it’s celebrities, I wasn’t aware that the sweet lady owner of the shop I started chatting with was indeed Malia, who recently returned from the Estonia trip I so much enjoyed reading about. Check out the amazing journey here. Malia is warm and funny, and so welcoming. Talking to her about Estonia made me want to book a trip right away! The shawl on the left in the picture below is the gorgeous French Cancan. I have since casted one on. One thing I really wish more Lys would have is this brilliant rainbow range of colours sold by weight. Perfect for colour work that only requires tiny amount of each. The last stop is the oldest yarn shop in Amsterdam De Afstap. It’s a treasure trove of colours and patterns. Yarn wise it is mostly Rowan which coming from the UK I didn’t take much time to look at. However on the second floor there’s an amazing showroom of Christel Seyfarth designs. It’s eye candy as well as aspiration. Although the shapes of garments and the price of the kits are not for me at the moment, I love the bold colour combinations and floral motifs. In my mind it’s a happy hybrid of Marimekko and Kaffe Fassette styles. Amsterdam – full of vibrant energy and a wonderful place to visit, revisit, and live in for those lucky enough. Wow! What amazing shops! I just love your photographs. It’s so interesting to see how yarn shops from other countries are. Great you had such a wonderful time in Amsterdam. Time for me to go for a visit again. On your pictures I see you have been in yarn heaven, beautiful! Thanks for sharing and also for the links! I believe the wooden tool you thought might be part of a spinning wheel is a skein winder. As long as the arms still turn, it looks like it would work just fine. You use the knob on the top right arm to rotate the wheel, winding on yarn (from a bobbin on a spinning wheel) to make a skein. By counting the number of complete rotations as you wind your yarn, you can measure the length of your skeined yarn. Yes, just like a swift, only the diameter doesn’t look like it is adjustable. I love your photos! I had not really given much thought to how yarn shops are different in different countries, and this gave me a peek into that. When I traveled in different countries, it was before I was a dedicated knitter, though I knew how already, so I kind of blew my opportunities to visit foreign yarn shops.